Home Politics Chavismo Vote for me. The other guys are crazy. Vote for me. The other guys are crazy. I have to admit, I’m more than a little turned off by the current Presidential campaign. Part of my frustrechera lies with the fact that, while Henrique Capriles is engaging in the kind of negative campaign the doctor ordered, he hasn’t really come out and given us the main reason why people should not vote for Maduro. Maduro and his peeps … are crazy. We’re not talking a metaphorical crazy here. We’re talking bat-crap insane. I mean, really? Cancer inoculation? Playing regional politics with the Papal election … from heaven? Not-so-subtle hints that Capriles is gay, and in love with Maduro? Today we have Cilia Flores, our First-Lady-Wannabe, saying that Chávez … won the battle for his health! Every time these bozos say that Chávez lives, that Chávez triumphed, we need to remind people: they’ve snapped. He’s dead. Move on. Every time they suggest some hack-brained theory about cancer inoculation, we need to be there saying: they’re crazy. This is not just ad hominem. We’re not twisting their words. These are their actual thoughts! And they repeat them, over and over. They’ve built a propaganda offensive around pure lunacy. We need to make the case that somebody who is crazy can’t possibly solve the problems Venezuelans face. Crazy people are not going to make inflation go down, crime go away, and unite the country. So yes, Capriles is the pitbull, but he needs to go beyond that. 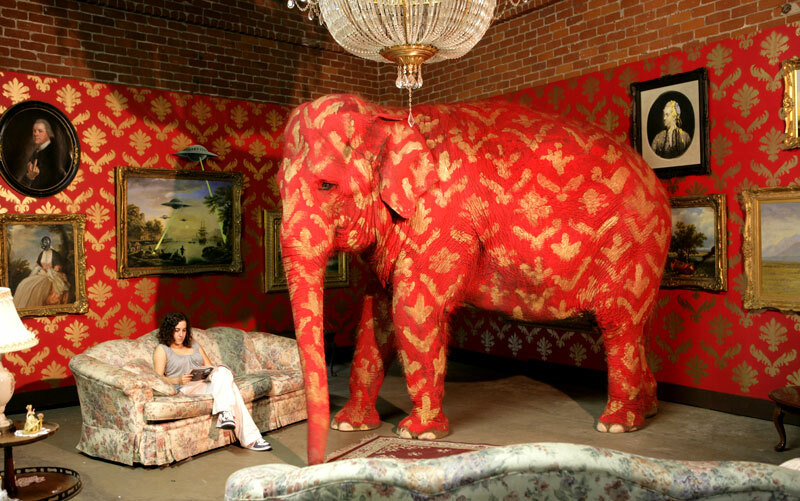 He needs to point out the big, fat red elephant in the room and call it by its name. PS.- I’ll be traveling the next few days, so I’m going to be posting only sparingly. I leave you in good company though.